I love food so when Sherry, who lives in Jamaica, asked if I was interested in a post about the cuisine of the Caribbean I had to say YES! I hope you enjoy! Food is an important part of the culture of the Caribbean, and the generous portions and wonderful flavors make the most of the native fruits and vegetables that grow in abundance around the islands. With the abundant marine life that is to be found around the islands of the Caribbean, it is unsurprising that seafood also plays an important role in the diet of the region, while meat is also on the menu. Although many of the influences of the cuisine in the Caribbean is based on the ingredients and spices available in the region, there are also many dishes that are largely influenced by the colonial powers who have played an important, if not always pleasant, role in the habitation of the region. Almost every type of seafood can be found in the Caribbean islands, with the large fish such as marlin and grouper very popular and almost abundant in the seas of the region. Shellfish are also very popular, with shrimps, crayfish and prawns being very popular. One of the most interesting fish is the ‘Flying Fish’, which is particularly popular fried on the island of Barbados. While frying is a popular cooking method on the former British colonies, one influence to be seen in the former French colonies is that the fish are often served in a rich sauce, or having been lightly grilled and seasoned. Vegetables, fruits and legumes play an important role in the cuisine of the Caribbean, both in terms of adding flavor and texture to the dishes as well as being the main feature of many dishes too. One of the features of Caribbean cuisine is combining fruit and spices with savory dishes to make an interesting dish, with limes and pineapples being particularly popular in this type of dish. In terms of the most common ingredients to be found in Caribbean dishes, sweet potatoes, tomatoes, rice, beans and chick peas are all among the staple food that help to add bulk and taste to the Caribbean diet. Some of the most popular dishes in Caribbean cuisine include meat as a main ingredient, and whether it is barbecued or grilled and served with a sauce of a marinade, or included in a stew, meat plays an important role. As well as the usual meats such as lamb, pork, beef and chicken, goat is also a popular meat in the Caribbean, which is usually roasted with jerk spices or included in a curry or a stew. If there is one dish that is considered to be typical of Caribbean cuisine, then Jerk Chicken is probably the most popular of all. It can be a bit spicy so it’s good to ask first, if you have acid reflux you definitely want to take some precautions as it can be hot! Street food is an important part of the cuisine in the Caribbean, and meat is to be found of many of these dishes, including in the delicious Empanadas that are to be found in the Dominican Republic and in Jamaica. Jerk chicken is sold from vendors on the street in Jamaica, while the deep fried pork rinds of the Chicharron are superb, although definitely one to eat in moderation! combination of pineapple and a rum syrup too. In a region which has a warm climate such as the Caribbean, it is also common to see ice cream which is available in a wide range of desserts too. The best time to vacation in Australia is when the various airlines vie with each other with special promotional offers. The airfares to Australia during the low season, which is generally from May, August right through middle of September, are low as compared to other long flights to Asia and Eastern Europe. Fly out of San Francisco and Los Angeles or from California and take the non-stop flight to reach Australia. There have been an increase of new airlines and existing airlines have added more flight and services to this route bringing down the cost of flying to Australia further. 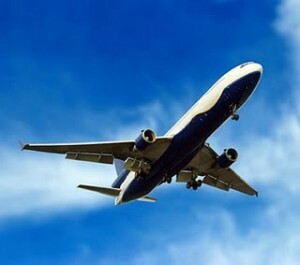 Consolidators of airlines offer great deals with cheap flights to Australia. However, you can also avail of a great low fare when you opt to fill a seat at the nth hour or a promotional fare. The Australian Qantas offer large aircrafts and maximum flights to Australia. Daily flights that go non-stop to Australia are from Los Angeles. San Francisco does not offer daily flights. 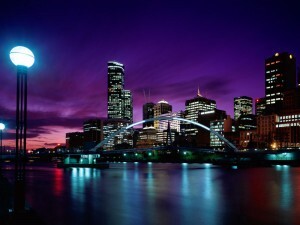 With Qantas, there are so many great deals on flights to Brisbane, Melbourne, or Sydney without any halts on the way. Code-share flights are offered by this Australian company to American Airlines to connect to flights from other cities in the US either from San Francisco or Los Angeles. The Qantas website offers promotional “free” offers, of a flight to a city in Australia during the low season. You can also avail of the Aussie Air Pass or if you are an Advantage members of American Airlines, earn mileage points and fly to, as well as within Australia, on their Qantas carriers. Virgin Airlines Group offer their new addition, VAustralia, which flies from Los Angeles non-stop to Brisbane, Sydney and Melbourne. Take a connecting flight from any US city on Delta and Virgin America. Some of the VAustralia flights also depart from San Francisco. However, VAustralia does not offer any special packages or offers within Australia. From 2009, Delta has been flying to Sydney. They have entered a code-sharing agreement with various groups, such as international flights with VAustralia, Virgin Airlines Group and Virgin Blue, their sister airline for domestic flights within Australia. Members of DeltaSkyMiles with Club access can spend transit hours in the luxurious VirginBlue’s airport lounges whenever they fly anywhere within Australia on their VirginBlue aircraft. The other airlines that offer this facility are VAustralia and Delta. United Airlines flies to Sydney from San Francisco and Los Angeles or connect from many cities in US. This airline goes to Australia but does not fly in Australia and rarely offer any promotional offers. The other airline that flies from San Francisco and Los Angeles to Down Under is Air New Zealand, via Auckland. Since the traveling time is extended by many hours, their fares are quite competitive. Several Asian airlines offer multi-stops, to travel to Australia, which tend to work out more expensive. It is cheaper to fly non-stop on VAustralia, Qantas, United or Delta. If you have no issues with expensive fares and look for luxury and comfort, you may prefer flying east en route to Australia. You can visit Singapore or Dubai to combine a great holiday. Singapore Air has a non-stop daily flight from Newark to Singapore and the Emirates have two non-stop daily flights from JFK. Many non-stop flights are available from San Francisco, Los Angeles and Houston when you take the various options to vacation in Australia. If you wish to enjoy a holiday away from the crowds, you should escape to Desroches Island, which is a secluded luxury island that is ideal for de-stressing and escaping the pressures of daily life. Many couples and families head to this beautiful island that has a ring-shaped coral reef around it. If you step out onto the verandah, you can behold a variety of birds, plenty of sea life and tropical lush foliage. Desroches Island Resort has nearly 26 luxury villas and 20 junior sites that guarantee privacy even when the resort is occupied with people. You reach the beach within a few minutes and you can avail of the bicycles provided by the resort to explore the beautiful island. Each room contains king size beds or two single beds with large bathrooms. The rooms are also fitted with outdoor showers, beautiful verandas and tasteful private lounges that overlook the sea, or garden. You can get butler service or use the culinary kitchen and dining room that are provided in the villas. 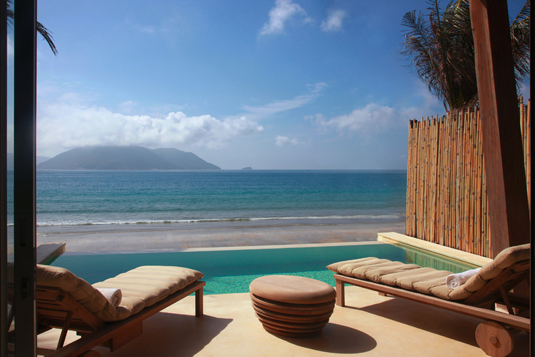 An infinity pool is also provided. 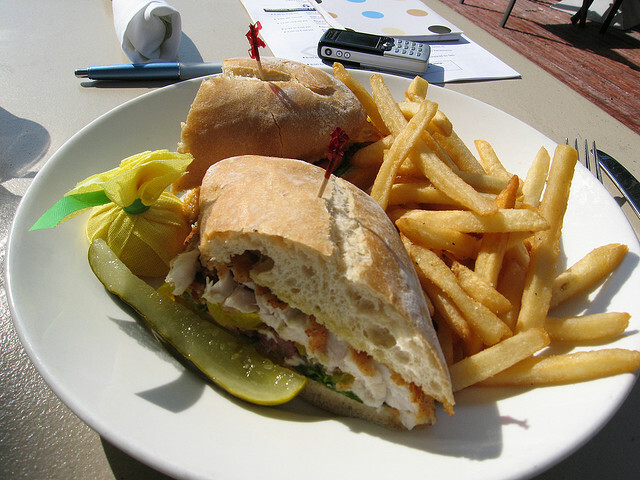 For those who prefer the upscale dining experience, two restaurants are available, which offer three meals every day. You can order local beers, spirits, house wine and soft drinks or you can get a picnic basket full of snacks, if you so desire. Whether you sit in the restaurant, beach restaurant or enjoy the al fresco on the private veranda, you can order fresh and local cuisine that serves dishes that are produced on the island. Activities by way of leisure pursuits include matches played on the floodlit tennis court, guided snorkeling tours to view angelfish, as well as sea turtles from up close, or just exploring the shorefront. Take a bicycle and picnic basket and enjoy relaxing on the beaches, or in the jungles, where you can enjoy the beauty of nature. You can enlist for diving courses at PADI, or NAUI in Desroches, so that you can avail of any of the 14 classified diving sites. The other sports activities offered are sea kayaking and wind-surfing. Sports enthusiasts, who prefer fly-fishing and big game fishing can make arrangements for boats, as well as get their supplies of tackle from the Island Resort. 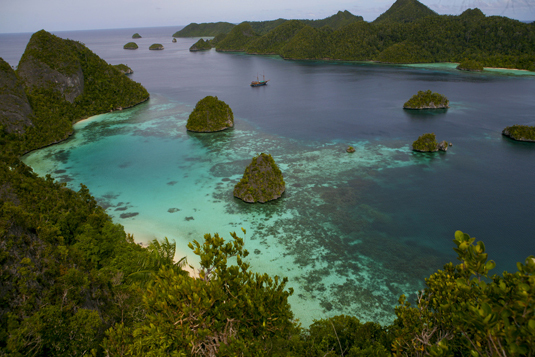 The island ensures that they closely monitor the population of fish and maintain organic farming. They take care to preserve the native species, which are rare or endangered by making sure that there is no impact with human activities. They try to involve the guests in awareness programs of conservation so that the sea life, wild birds and fauna of this unique island is preserved. If you are only interested in relaxing in Four Seasons Seychelles then you can book yourself a massage the Coconut Spa or relax by the poolside with a book and a refreshing drink. The Desroches Island Resort has been planned with conservation in mind of the natural features of the island to ensure proper sustenance. Today I have been thinking a lot about my grandparents who once travelled when it was so much more difficult than it is for me. Once you become a senior citizen, you should relax and enjoy the fruits of your hard labor by doing things that you always dreamed of doing. Traveling has become a popular option as it is easy to move from one place to another today. You may be silver haired but that does not mean you have to retire from living your life. You may not feel your age but being older comes with additional risk factors. It is possible for senior travelers to be more susceptible to illness or accidents when traveling. It is therefore advisable to ensure that you take out seniors travel insurance. Special insurance policies for seniors over 65 are available that will allow you to travel anywhere without worrying about your age. Check out the various insurance policies that are available and chose one that protects your interests without exceeding your budget. A wide range of features are covered at various prices. You could opt for a single trip or check out offers for senior travelers that cover multi trips. Make sure you carefully examine all polices that are available for domestic as well as overseas travel. Scrutinize the travel insurance for seniors that cover medical expenses when you shop around. Make sure that you cover any pre-existing condition before you travel. There is no point in procuring an insurance policy that will not cover your expenses if required. Look for the benefits that cover medical evacuation. This is essential for international travel. The other factor that you need to check is that your expenses are borne if you have to be brought back home from abroad. The Internet offers great facilities online for seniors who wish to take travel insurance. It is the best way to source out all the possibilities and then opt for the right one. However, if you are not able to do this, make sure you get a reputed insurance broker. However, when you scour online, you will be able to make comparative notes and check out the various options of policy quotes offered. This option is quicker and you are able to discover which options cover maximum benefits that will assist you when you take that trip. Pricing depends on various factors such as coverage geographically, if you are using a single or multi trip option and so on. Travel insurance for seniors is reasonably prices and affordable today even if you take the comprehensive options. Make a careful study when you look at all the options offered. Check out all possibilities as it is worth the effort. Be satisfied when you take out the right one and enjoy a carefree vacation or travel where you can spend your leisure time peacefully. The next time I talk to my grandparents I am going to think about inviting them to come visit me here in Thailand. It isn’t a long flight from the West Coast of America and the weather is so great for people who may have a bit of arthritis. I am sure I can find a fantastic hotel or resort for them to stay in and I know they would love the food here as they are both adventurous eaters. There is so much to do when you visit Australia which is home to big cities, beaches, deserts and mountains. You can choose from any of the ten top things to do in Australia that is listed below. 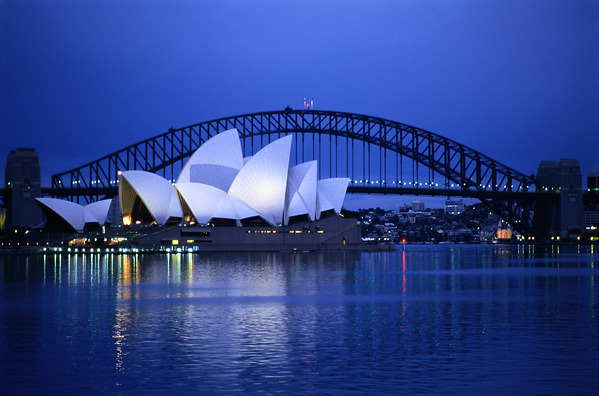 Visit the Opera House and Sydney Harbor Bridge as this is something every traveler to Australia must do. Some tourists enjoy climbing up the Bridge and book well in advance while other may opt to enjoy a night at the opera on terra firma. 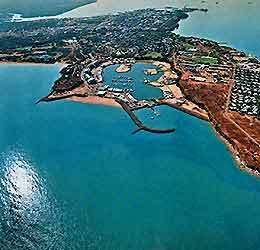 Enjoy a scenic drive down the Great Ocean Road which starts from Torquay and runs for 243 km to Warrnambool in Victoria which is the southern state. You are bound to spot a few koalas hanging from trees and enjoy stunning sights such as the rock formation of the Twelve Apostles. The Outback may be difficult to reach from any of the major cities but if you can make a trip to Ayers Rock you will enjoy the journey on the dusty roads that take you to Alice Springs. Make it a point to include the West Coast of Australia as you will be spellbound by the spectacular scenery. Enjoy snorkeling and discovering reef sharks, manta rays, turtles and perhaps a whale shark if you are lucky when you travel half way down the coast to Exmouth. Skydiving is very popular for backpackers as it is something most tourists enjoy trying. Feel the adrenalin rush as you jump out of a plane from thousands of feet in the air. 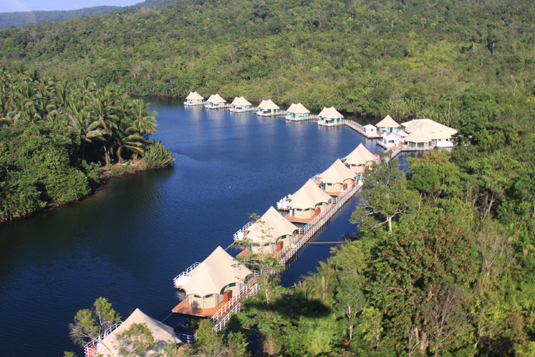 There is nothing as thrilling, especially as you get a great bird’s eye view of the stunning landscape. Accommodation is easy to find in Australia. There are many luxury hotels and various eco retreats where you can find great big beds to rest at night. Melbourne and Sydney abound in five-star hotels though if you look around you will find some great chic eco hotels at affordable prices. Tourists flock to Sydney to enjoy the large ocean pools that are filled with sea water. These types of pools are found in the far end of Coogee beaches and Bondi, Sydney where you can soak lazily in these pools and watch the water flowing in with the current. Do not miss the Great Barrier Reef which is the largest in the world and spectacular, whether you see it from above, or below. This reef that spreads for over 2,600 km abounds in diverse marine life that will amaze you and make your trip there worth your while. Try to include Darwin, which is the capital of the Northern Territories, in your itinerary and visit the Kakadu National Park that lies about 200 kms to the south. You will enjoy a wide spectacle of flora and fauna, including rivers, waterfalls and aboriginal rock art. Tourists can learn to surf and enjoy a great time soaking up the sun on the beaches. Include this exciting sport as one of the top things to do in Australia. Surfing is a popular pastime with Australians and you can join the other tourists and locals in the sparkling crystal waters. When looking for budget travel insurance it is often necessary to get online in order to find the best deal. For example Endsleigh can offer you every kind of cover for every kind of trip. OK, to be fair, there is a lot of fun and if you prefer your holidays rain-soaked and grey – look elsewhere. 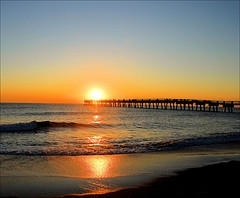 Florida takes its name from the Spanish phrase meaning ‘flowery land’ and its by-line is of course, the Sunshine State. But if you associate Florida with theme parks and over-excited kids, then think again. Florida holidays can offer the best of all worlds when it comes to combining fun and relaxation. The region’s climate is defined by its sub-tropical nature. There is no end of entertainment for kids and adults alike; the treats on offer when it comes to holidays in Florida include unspoilt beaches and national parks; beaches offering some of the best water sporting and surfing opportunities; cities and towns offering boutique shopping experiences; historical attractions and 21st-century surprises. Florida boasts the oldest continually inhabited European settler city in the continental US, St Augustine. In the north of Florida it was established by early Spanish settlers and boasts some of the oldest buildings in the US. The Spanish built Castillo de San Marcos still stands and was an important defensive and administrative centre for the earliest European settlements. The castle was needed on more than one occasion to defend against the invading British or French, though it met with limited success however as both France and Britain controlled the region. 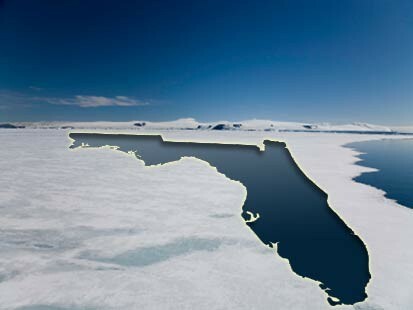 In 1862 Florida finally joined the United States, although the state considered seceding shortly afterwards; the laid-back nature of the Floridians perhaps meant the idea of another War of Independence was simply too much and the state remained the tropical jewel in the crown of the US. Another, more recent, castle can be found a little further south in Orlando in the form of Hogwarts at the Harry Potter World attraction. It would be unfair not to mention theme parks when talking about Florida holidays as it really is the world capital for them. Walt Disney World® Resort was established first and since then the tropical climate and lush soils have proved an excellent breeding ground for theme parks of all manner. Thanks to the climate they operate all year round and provide an incredible range of entertainment and magical treats for kids and the big kids that accompany them on most Florida holidays! Orlando, close to Florida’s eastern Atlantic coast, is the Mecca for all theme park aficionados and holidays to Orlando offer an excellent range of accommodation. Just down the road is the not-to-be-missed Kennedy Space Center and the Space Coast – Orlando’s closest beaches. Florida – originally christened “La Florida” which translates as the non-too-imaginative ‘Flowery Land’ – is an incredibly rich and diverse State when it comes to wildlife and environment. The State is not exactly a tropical island – but in places you could be forgiven for thinking so. Stuck onto the bottom of the US it has thousands of miles of coastline – more than any other mainland US State and – not satisfied with that statistic – manages to have coast on three different bodies of water. The Atlantic forms the eastern shore, the Straits of Florida in the Caribbean to the South and the Gulf of Mexico to the west. Unsurprisingly eating out in Florida is all about the seafood. Beaches are never far from the itinerary on any Floridian holiday; the State has action-packed surf havens and quiet hidden retreats. Orlando holidays can offer a little something for everyone, being the best location for the theme parks, but within easy reach of one of Florida’s most undeveloped coasts making it the ideal centre to make the most of Florida holidays. Are you planning on a vacation for your family? Head over to eBookers to get the best travel prices possible. Apart from the amount of money that you can save in your flights, the website also has other great features that make it one of the best sites to book your tickets through. First of all, you need a place to stay. The eBookers lets you select the hotel of your choice from 95,000 different hotels around the world. You can even go through the reviews written by visitors to the site in various different languages. The site has comprehensive filters to search for the specific type of hotel or location that you are interested in. The site returns location maps based on your search criteria with current prices of the hotels in the region. You do not have to pay extra fees for booking the hotel through the site. There is no charge for modifying or cancelling your booking either. eBookers offers fantastic deals at unbelievable prices. You get to enjoy discounted rates from time to time. The site conducts flash sales periodically. It also offers promotional discount codes that you can use to get huge discounts on your bookings. Using the site, you can choose to travel in any one of 250 different airlines. You can also choose some of the world’s best car rentals by using the site’s features. You can get amazing savings when you book multiple travel components all at once. You can save up to 40% using this wonderful feature. You can also save by making your travel and hotel bookings together as a package. With eBookers, you can stay confident that your money is in safe hands. The site is a member of IATA and ATOL. If any one component of your booking involving a flight element is cancelled, you will get a full refund of your money. All the packages are protected and bonded by the CAA. The site is secured by Verisign, a reputed online accreditation authority. When you see a price, that is exactly what you would end up paying. All the fee and taxes are included in the total that you see. You will not have any surprises down the way. eBookers have more than 10 years’ experience and are leaders in this field. They are also an Orbitz Worldwide travel brand member. eBookers is the very first sight to offer a combination of hotel, flight and car bookings together in Europe. You can even access the site using your mobile phone. So, you can make your bookings on the go, wherever you are. There is a separate iPad App known as the eBookers Explorer to allow iPad owners to get the most out of the site. You can have a live chat with customer service and sales executive online. 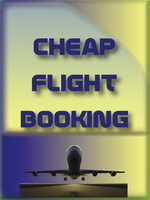 So, book your flights, hotels and car rentals at the eBookers site. When you are on holiday you want to take away as much hassle away from your trip as you can. What you don’t want to be doing is worrying about what is happening back home, and you especially do not want to have to worry about what is happening to your car whilst you are away. This is why many people choose to use a secure airport parking service which means that their car is kept in a secure and reliable environment whilst they are off enjoying themselves in sunnier climbs. Airport parking services know how important it is to their customers to know that their cars are kept well looked after when they are away and this is why many airport parking services now go out of their way to make sure that your vehicle is in safe hands when you are travelling. However, there are things that you can look out for when you are booking your airport parking service to make sure that your car is a safe as possible. When you book make sure that you look for a car park that has 24 hour CCTV surveillance and is manned by security staff 24 hours a day. Flood lights and a gated secure car park are also good things to look out for. Many car park services offer pretty slick operations now and you can be sure that most will offer you a professional and efficient service to make sure that you are not hassled about your car at the start or at the end of your holiday. You don’t have to go away for a long period of time to use a car park service at an airport, you can choose from short stays, mid length stays or long term stays. When you contact your car park service they will advise you on which service is best for you (all depending on how long you expect to be away for). 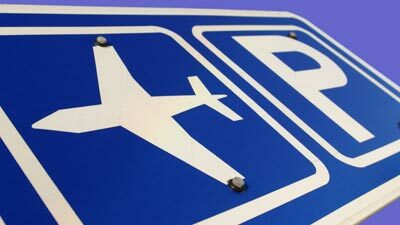 All of the major airports up and down the UK will offer a wide range of airport parking services and often many are run by independent companies who are all after your business, so if you shop around you will be sure to find some very good deals. One of the best things that you can do is to go online and search for airport parking near to the airport that you are flying from. A good site that you can use is Park PCB which offers a comprehensive range of car parks that are all brought together in one place so that you can search out the best deal for you.